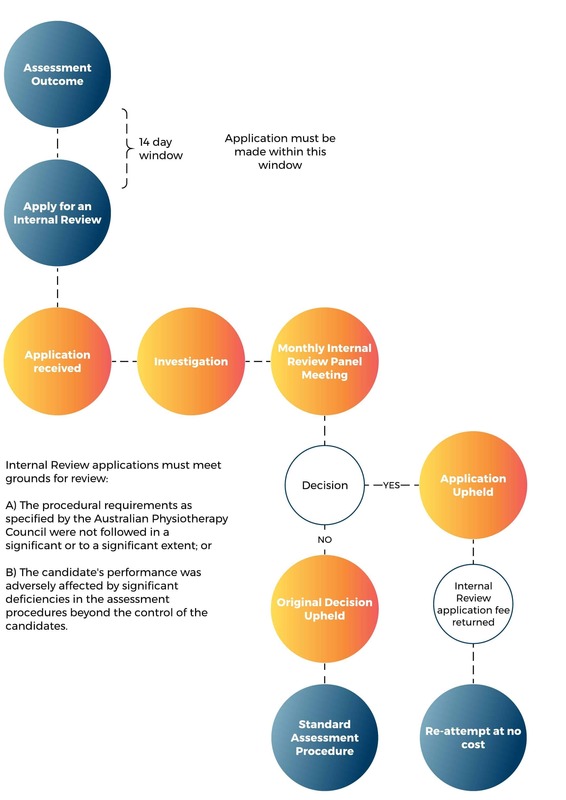 An applicant may request review of a decision made by the Australian Physiotherapy Council (the Council) relating to the outcome of the Eligibility Assessment, Written Assessment, Clinical Assessment, Assessment of Equivalence of Qualification, or the Skills Assessment. Please note that applicants can no longer request review relating to the overall assessment outcome. Candidates can make an application by downloading the Internal Review Application Form.